Back in college I traded cars with my parents one weekend since mine needed some work done. 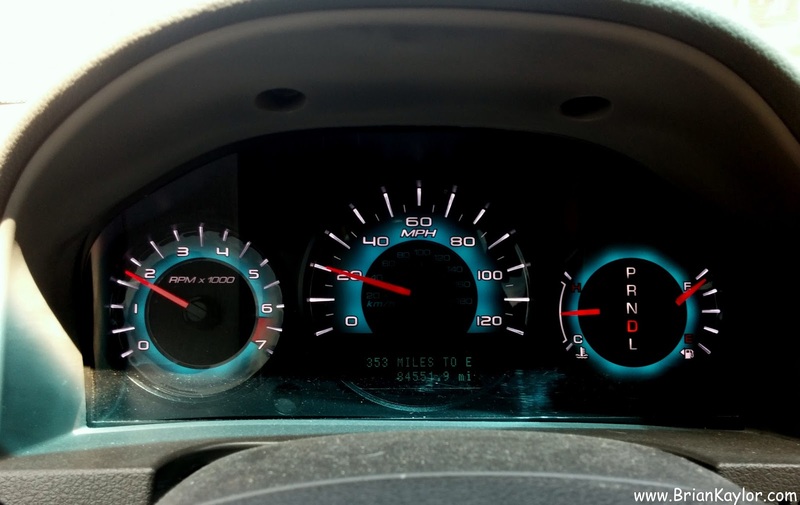 Unbeknownst to my dad - or so he claims - the speedometer on his car was off. So as I trekked off down the highway that weekend going a few miles an hour faster than I intended (full confession: I was deliberately speeding by a few miles but the inaccurate speedometer added a few more). Soon I found myself on the side of the road meeting a highway patrol officer. At the time I was headed to preach at a church where I pastored. We had a pleasant chat. He then gave me ticket, which made the spontaneous visit no longer feel pleasant. But here’s the key: I never felt he pulled me over and ticketed me to persecute me as a Christian. What got me in trouble was I broke the law. Why I was driving on that road did not matter. I paid my fine (and haven't gotten another speeding ticket since). An opposing philosophy currently drives a movement in Kentucky. A county clerk - elected by the people and sworn to uphold the laws - decided she did not want to do her job. That's fine. People can decide to quit if they can't bring themselves to perform the duties expected of them. She, however, still wants to cash her large paycheck even while refusing to issue marriage licenses. After multiple court demands that she stop her defiance of the Supreme Court, a federal judge put her in prison. He released her last week with the demand she stop interfering with the legal issuing of marriage licenses. Yesterday she finally returned to work with a mixed message of defiance and submission. The problem with the case remains she claims all of this amounts to religious persecution. She claims the judge imprisoned her because of her religious beliefs. In reality, she went there because she broke the law. The county clerk and her supporters claim she should have religious liberty rights to deny issuing marriage licenses to couples she believes shouldn’t be married. Such an argument misreads the First Amendment of the U.S. Constitution. The First Amendment strikes a balanced approach by including two religion clauses, one to prevent establishment and another to protect free exercise. Her argument follows a common mistake in recent years: not being allowed to establish your religion does not mean your free exercise is being infringed. Even while the county clerk demanded accommodation for her religious beliefs, she initially refused to allow her deputies to issue marriage licenses even if they wanted to (she appears to have changed on that yesterday). She wanted accommodation for herself but refused to give it to others. That's not a desire for religious liberty but for religious rule. The Pilgrims and Puritans made the same mistake. They fled religious persecution and then turned around and persecuted those who disagreed with their established religion. They didn't seek religious liberty. They instead just wanted to be in charge. One of those persecuted - Roger Williams - instead established the first truly free colony (Rhode Island). Would the thrice-divorced county clerk in Kentucky approve of a county clerk invoking religious beliefs to refuse issuing marriage licenses for people already divorced? Would her conservative allies approve of a government official invoking religious beliefs to refuse issuing gun licenses? True religious liberty does not pick and choose which religious beliefs are supposedly legitimate. Christians in the United States today need to recognize that losing some political power and cultural influence does not equal persecution. To cry "religious persecution" simply over a political loss does a disservice to real victims. To use the term "religious liberty" as a power play to codify one's own political philosophy harms the valuable concept that protects religious minorities. And all of this hurts the image of Christianity in the United States. While driving home from Minnesota last week, I listened to the rally with Republican presidential hopeful Mike Huckabee shortly after the county clerk emerged from jail. It was not until the next day that I saw a clip from the rally. Apparently someone prepped the crowd with something to wave during the speeches: white crosses. Without the volume it could almost look like the crowd whipped up to execute Jesus and crying "crucify him" while waving white crosses (the Bible doesn't say they had those little crosses to wave but the people so would have if his opponents had political smarts). Is this rally the image of Christianity? If so, we will lose even more influence in our society as we drive people away from salvation. We need more loving grace and less political grandstanding. Perhaps Derek Webb put it best in his song "Love is Not Against the Law."